Instead of offering coffee in the pantry, companies should get to the bottom of that yawning. Doctors recommend eight solid hours of sleep each night, but workers are not clocking in. This lack of sleep is leaving employees less productive, unmotivated and more agitated with co-workers. So, who’s to blame? The answer is . . . work: A March survey on sleep and the U.S. workplace from CareerBuilder (conducted by Harris Poll) reported that 58% of 32,000 workers surveyed said they were not getting enough sleep, and 61 % said that sleep deprivation affected their work. For some, it is a vicious cycle: 44% of workers said that just thinking about work kept them up at night. Sleep deprivation does not just hurt workers, it hurts business. Instead of offering more varieties of caffeine in the breakroom, perhaps companies should focus on getting to the bottom of all that employee yawning. 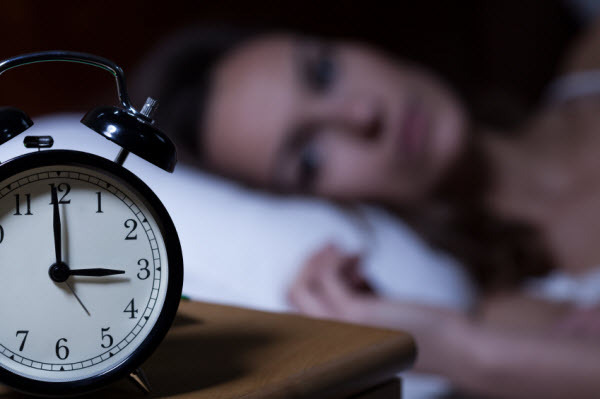 What’s causing the lack of sleep? All signs point to stress, and a workforce under pressure is a serious problem: In a study conducted by Monster.com in April 2014, 42% of 1,000 job seekers surveyed said they had left a job due to a stressful environment. In addition, 46% said they had missed time at work due to work-related stress, while 61% said they believed stress at work had caused an illness. Want to change that scenario at your company? Promote restfulness among employees by taking these steps. 1. Ensure that employees have a reasonable work schedule. In many industries and roles, the eight-hour work day is a myth. Put a cap on the number of hours employees are working by managing schedules to ensure none work more than 10 hours each day, even if they’re clocking-in at home. Playing catch-up on the weekends will not positively impact the sleep cycles of your employees. Putting time in on the occasional Sunday is okay, but employees should be reminded to keep weekend work to a minimum and reevaluate their workloads with managers when necessary. Flexibility can do wonders in the workplace. Ease the stress to promote rest by providing more options for flexibility. Offer the ability to work from home twice a week or a limited number of days per month. Also, establish a flex-time program to allow employees added control over their work hours, to boost personal productivity. 3. Make information more readily available. Limit stress by improving the ease of access to relevant information. Using online employee engagement tools like Happy Mood Score can motivate and ensure a positive team management experience by improving the spread of information. Establishing an intranet can also help promote team and managerial communication. 4. Cut down on emails and meetings. While essential to every workplace, overflowing inboxes and back-to-back meetings can be stressors to employees striving to fulfill their responsibilities and meet their deadlines. Address these stressors, then, by setting company-wide standards for communication and encouraging brief, face-to-face meetings and phone calls instead of drawn-out email discussions. As for meetings, encourage employees to create and stick to firm agendas and avoid the "meeting-just-to-meet" mindset. 5. Provide employees time to recharge. Did you know that 42 % of Americans surveyed by Skift in January 2015 said they didn’t take a single vacation day in 2014? Time outside of work can do wonders for minimizing stress and improving on-the-job performance. However, it can be challenging for stressed-out employees to step away from mountains of work and make time for recharging. Consider the benefits paid-time off has on the sleep habits of your employees. For companies already offering a wealth of paid time off, set standards that encourage employees to actually use paid vacation time. Stressed-out, tired employees are a risk to businesses everywhere. Offering time to recharge, along with flexibility and a healthier workload, is an important step toward improving employee restfulness and easing your workplace pressures.